When the Portuguese sailors breathlessly exclaimed, “Ilha Formosa!” (Beautiful Island) upon the discovery of this island, it was because of the panoramic peaks, lush greenery, crater lakes, waterfalls and hot springs of ancient Taiwan. Most Westerners might raise their brows at this claim, as unsightly signs of neglect in modern Taiwan are everywhere. However, you only need to look a little deeper to find the beauty these explorers were able to witness. This ugly duckling has been transformed. It is like a real life version of Urban Planning Game or SimCity. Yes, Taiwan is the most computer-savvy destination in Asia. Statistics shows that only 5% of the Taiwanese population (including infants) does not possess their mobile phone. 75% of households have Internet access and 45% of the population shop online. Dubbed by the New York Times as "the most underrated tourist destination in Asia," Taiwan boasts Austronesia roots, Chinese and Japanese influence, a hybrid blend of cultures and beliefs, a balance between the old and postmodern world, unforgettable attractions and, most of all, the extraordinary Taiwanese warmth. Lest we forget, Taiwan is also one of the Four Asian Tigers, along with Hong Kong, Singapore, and South Korea. There are countless reasons to move to Taiwan. Taipei, the capital city, is home to must-see temples and museums; Wulai provides the mountains, rivers, and wildlife; Penghu's beaches remind you of Hawaii; South Cross Island has the peaks and hot springs; Tainan's temples, old relics, and traditional food are the portal to ancient Taiwan; Pinglin serves as the tea-growing region and the adventurer's paradise. The list goes on. Japan lies to the northeast, Mainland China to the southeast and the Philippines to the south. Situated on the Tropic of Cancer in Asia, the climate is marine tropical, and typhoons and earthquakes are quite common in the region. With the rainy season between January and March and hot, humid summers from June to September, it is advisable to bring appropriate attire for each season and arm yourself with a trusty umbrella when going outdoors. Taiwanese shops offer cheaper clothes than most Western countries; hence, you could pack lightly and purchase clothes when you get there. But then again, Asians are typically smaller in frame so expats of above average height or weight should take as many clothes as they can. To bring or not to bring pets? The limited number of kennels, boarding facilities, veterinarians, and pet supplies in Taiwan can be discouraging. For specific details on government regulations for importing your canine or feline friends, visit ExpatFinder's pet relocation section. Gift giving is common; it is expected when invited to a home for dinner, Chinese New Year, births, weddings, and funerals. Choice gifts in Taiwan are fruits, chocolates, wines and pastries - preferably branded ones. It is best not to give white envelopes or wrapping gifts in white, as the color is associated with death. Most importantly, make sure to bring an open mind and cheerful readiness for what awaits you in Taiwan. Familiarize yourself with the local delicacies. No matter what religious beliefs you hold, give a temple a visit, and read up on Buddhism and Taoism. People might be happy to communicate with you in English, but surprise your colleagues once in a while with a quip in Mandarin. It will truly make your stay in Taiwan all the more pleasant. Taiwan or also known as the East Asian Island is a very popular expat destination because of its thriving and dynamic economy. You can start to look forward to a fruitful career since there are many employment opportunities in various industries and sectors. Taiwan is also famous for its dramatic landscapes and sumptuous street market that will surely relieve you after a day’s work. So here are a few but helpful guidelines that can help you achieve success in one of the four Asian Tigers. You can research through online portals about the housing market in Taiwan even before your relocate. It will give you an idea of the price range as well as the different locations of the properties. Once you arrive, you can ask fellow expats if they have any referrals or try looking on billboards on international schools that post rental advertisements. But if you do not speak Mandarin, you can hire local English speaking realtors that can help you communicate with the landlords. They also know the neighbourhoods very well and can present you with many options. Before signing a contract with your landlord, always ask if the utilities are part of your rental pay. In Taiwan’s major cities, the typical monthly cost of your essential services like water, heating, gas and garbage collection is €55. You can also apply for internet connection which is around €25 per month and mobile service where a local prepaid call is charged €0.20 per minute. Most expats who arrive in Taiwan stay in hostels while looking for a more permanent house/apartment. There are many rentals where you can choose between a short-term (3-6 months) and long-term lease agreement (6 months and up). 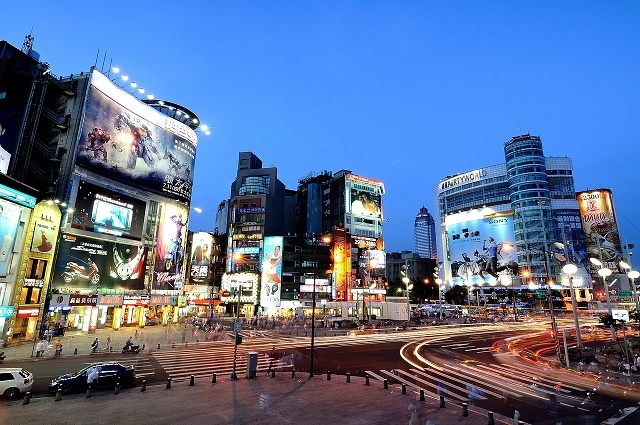 Taipei is usually the first choice of expats since it is the capital and centre of business, commercial market and nightlife. The price of a one bedroom apartment in the centre starts at €500 and around €1100 for three bedroom unit. If you are moving with you family, you can consider Hua-lien in eastern Taiwan. This city is less populated and has a beautiful countryside. You can find a one bedroom flat in Hua-lien for roughly €300 per month and a three bedroom apartment for around €660. 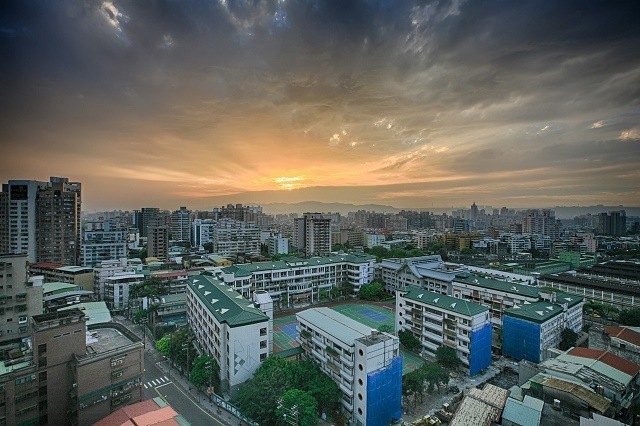 A good starting point for your children’s education in Taiwan is to enrol them in an international school like the Dominican International School, Taipei where they use English and bi-lingual in teaching. There are also many local schools that provide excellent quality of education like the National Taiwan University. The process of bringing your belongings to a different country can be very exhausting. That’s why many shipping and removal companies provide door to door service to Taiwan. These professionals will facilitate the whole moving process for you until you receive your packages in your new home. It typically takes 33 days, depending on your country of origin, before containers arrive in the Port of Kaohsiung where customs officials will conduct an inspection of the cargos. For more information about Taiwan’s import regulations, click here. All pets entering Taiwan should have a microchip as a form of identification and have a Rabies Vaccination Certificate issued at least 30 days before arrival. There will be an animal quarantine officer waiting at the port of entry which will detain the pets on a designated quarantine premise for 21 days. This nation is a melting pot of diverse nationalities, proving that Taiwan has always been a home to many immigrants and expats from all over the globe; proving that what this country offers is worth the distance from where you came from. Taiwan houses a total population of 23.4 million people and a land area of 36, 193 square kilometres. This country features a mountainous landscape, a thriving nightlife, and several hot spring resorts---all of which are sure to entice expats to work in this country. Taiwan is country governed by the People’s Republic of China. It is the 52nd largest country in the world with a population density of 649 people per square kilometre. 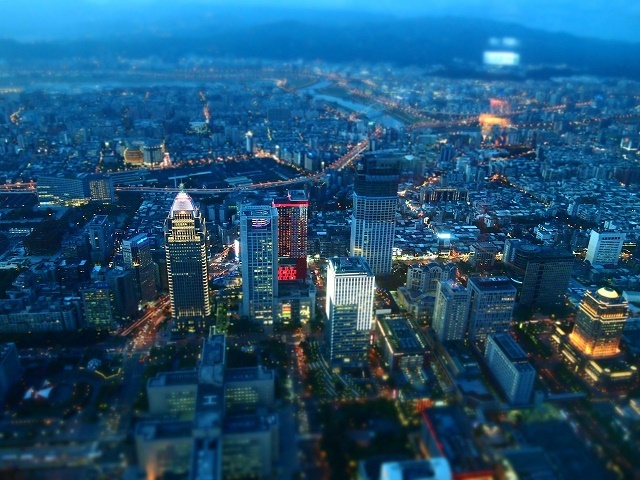 Along with Hong Kong, South Korea, and Singapore, Taiwan is known to be one of the four Asian Tigers. The country was formerly called Formosa which means “beautiful island” by Portuguese colonists who landed in 1544. In the 17th century, the Dutch East India Company was able to establish a port, and Taiwan grew to develop itself into a trading centre. Today, this country possesses a rapidly growing economy which makes it one of the prime expat destinations in Asia. Taiwan offers a gamut of fun places to visit that will keep your kids from missing their friends back home. This country’s beautiful outdoors is always the best place to start an adventure with the children. Taiwan has eight national parks that are characterised by alpine forests, shadows of majestic volcanic mountains and a wide range of flora nestling. One of the must see is the Alishan National Scenic Area where they will see a 2,000 year old tree. Kids who are looking for some excitement can also head to Yangmingshan, a dormant volcano situated in a national park. Here, the whole family can hike or take a dip at the hot springs free of charge. Expat parents who want to take their children on historical tour should visit some of Taiwan’s museums which include the National Palace Museum that houses over 700,000 ancient Imperial Chinese artefacts and the Chimei Museum where kids will see an extensive collection of Western art, weaponry and musical instruments. There is also an active expatriate social scene in this country, expat families can participate in events organised by the international community while making new friends. Expats in Taiwan are only allowed to use their International Driving Permit (IDP) for one month. After 30 days, they must apply for a local license at the Taipei City Motor Vehicles Office. Applicants are required to take the Taiwanese Driver’s License examination which includes a written and practical test. Most of the study materials that expats can use are written in Chinese but they are allowed to take the examination in English. An Alien Registration Card (ARC) is one of the primary requirements for expat applicants. Driving in Taiwan is on the right hand side of the road. Expat drivers must be aware that traffic can be notorious during rush hours especially in major cities like Taipei. Buckling up is mandatory for all passengers and legal limit for alcohol in the bloodstreams is 50mg per 100ml of blood. Speed limits are 110 kilometres per hour on motorways, 80-90 kilometres per hour on open roads and 40-50 kilometres per hour in towns. Everyone must be aware that on the spot fines for minor offences are quite common in Taiwan but the fines are fixed for each offence. Those who will be caught with a major/serious driving offence will be requested to appear in court. What’s your name? - nǐ jiào shénme míngzì? How much is this? - Zhège duōshǎo qián?